The Petmate Watering Replendish provides continuous flow of filtered water. An advanced water filtration system inside the waterer removes and reduces the presence of volatile organic chemicals and chlorine for clean, refreshing water. The large capacity water storage is ideal for short stays away from home and fewer refills make it convenient for busy pet parents. 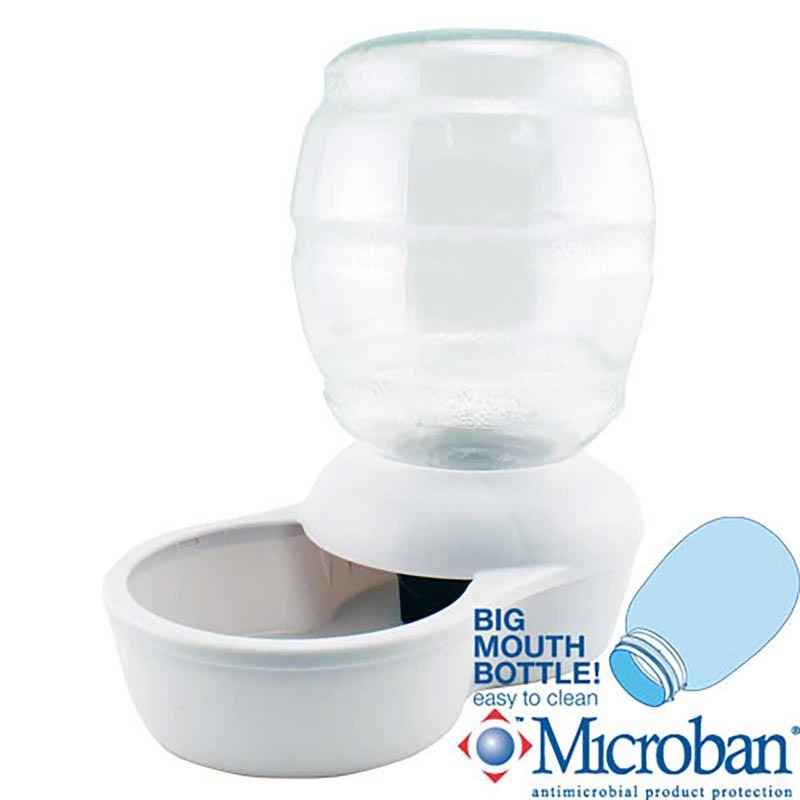 Features Microban antimicrobial coatings and large mouth bottle openings for easy cleaning. Replacement charcoal filters available. Base color is Pearl White.